When your state has won the Site Selection Governor’s Cup award five years running, what do you do for an encore? When you’re Texas Gov. Greg Abbot, you put the pedal to the metal and push for more. Organizing trade missions to Asia and setting up rural economic development programs around Texas are all just part of a normal day’s work for Texas Secretary of State Rolando Pablos. In Texas, finishing in first place is not just an annual occurrence. When it comes to measurable economic development performance, it’s a way of life. From 2011 to 2016, more than 1,441 foreign direct investment projects made their way to Texas, translating into the creation of $212 billion in capital investment. 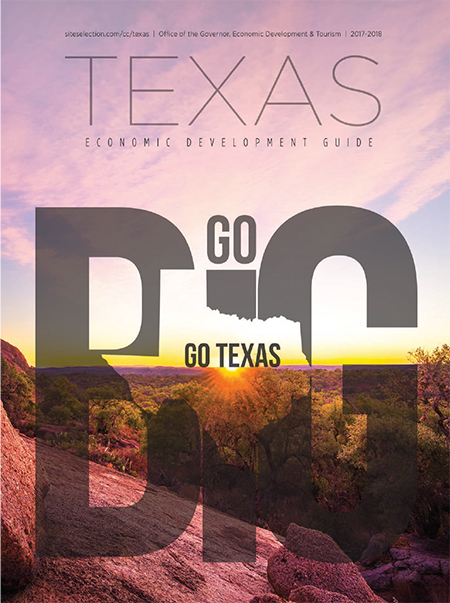 Noted economist Dr. Ray Perryman forecasts that real gross state product in Texas will grow from $1.5 trillion in 2016 to about $1.8 trillion in 2021, representing a 4.11 percent annual rate of expansion. In August 2016, Business Insider ranked the top American cities with the best quality of life. The state with the most cities in the top 25 was Texas.